Masking on the smatphone case! Create black and white duotone print data. The black color part is masked by primer printing. 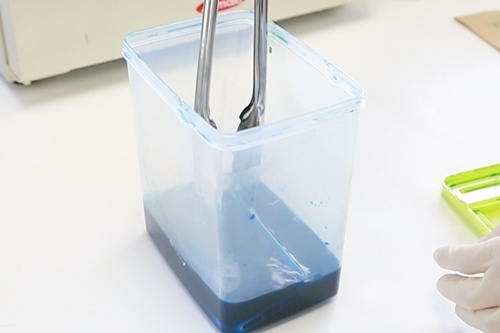 Dissolve dye in 40℃ warm water. It takes longer time to dye if use cold water. Put the case in the solution! 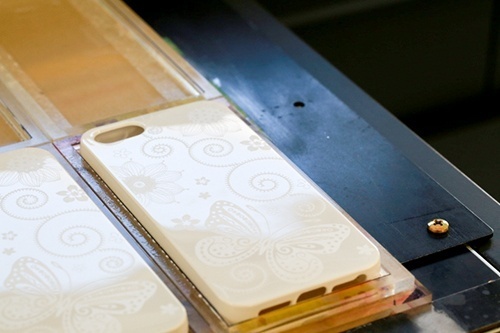 The case will be dyed after 30 minutes in 40℃ warm water. Color varies depending on time and water temperature. 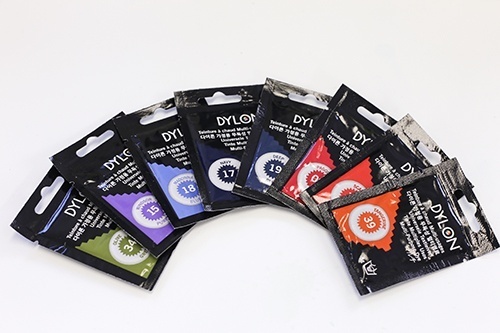 Please test to find the best dye conditions for obtaining favorable color. Please wear protective goggles, gloves and clothes to prevent from staining and an unexpected accident. Take the case out from the solution. 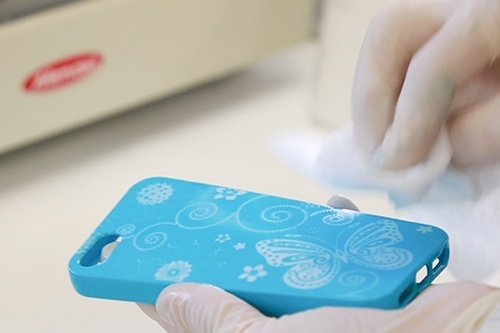 When the case is dyed, take out it from the solution and wash it with a sponge. Wipe the case well and soak it in alcohol solution. After 1 to 2 minutes, take out it and pat the printing surface gently with soft cloth. Remove masking, a primer layer. Apply adhesive tape on the print surface to remove the primer. 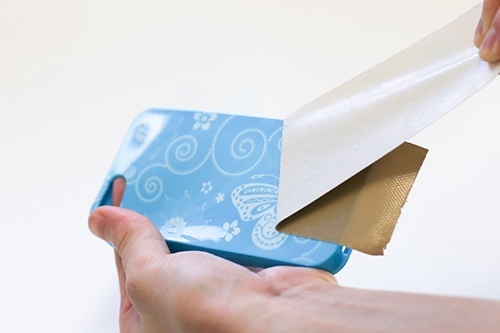 Remove the tape slowly and check if a primer layer is properly removed by the tape. * Do not scrape the surface to remove the primer layer. * If the primer is left on the surface, soak the case in the alchool solution again. The case is perfectly dyed! 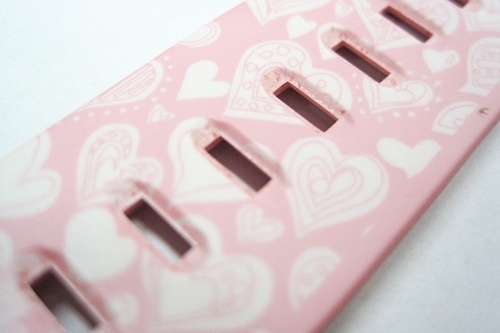 Delicate design can be represented by utilizing inkjet print technique. Digital UV dyeing can be applied to TPU products that are widely used for watch bands, sports shoes, swimming goggles, and many products. Digital UV dyeing can be applied to TPU products including watch bands, sports shoes, swimming goggles, etc. 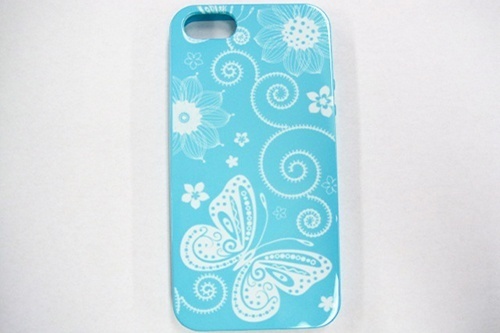 Delicate design patterns of the digital UV dyeing adds value to the products. Dye color may vary depending on conditions and environment such as room temperature. Please test before starting production.